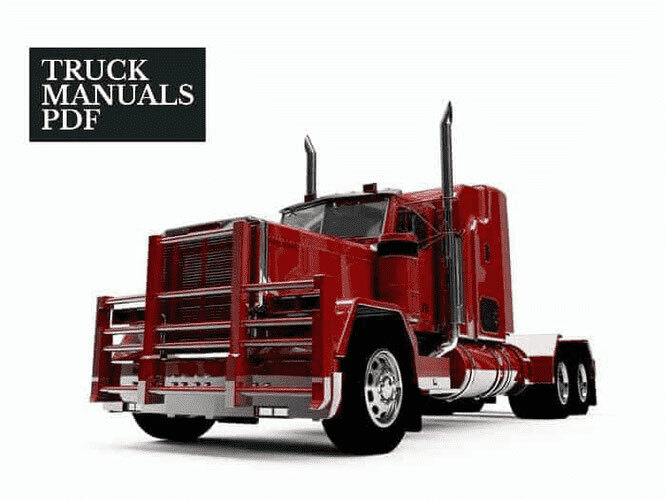 A Tadano Truck Operator & Maintenance Manual PDF above the page. For half a century, TADANO has maintained its leading position in the domestic market with innovative products, technologies and tools, as well as new partnerships around the world. History Tadano - this is, directly, the history of Japanese lifting equipment. 1919: Masuo Tadano, Founder, starts his business in the metal field in Fujitsuka-cho, Takamatsu City. 1948: TADANO Ltd. founded, the plant is working on the manufacture of lifting equipment. 1950: A railway track maintenance machine is invented, receives a patent and starts its production for delivery to Japan Narional Railways. 1954: Development, development of hydraulic industrial machines. 1955: The company introduces the first truck crane installation for trucks, - OC-2, 2 tons lifting capacity, the first truck manipulator. 1957: A fully hydraulic crane plant for the OC-5 truck at the Osaka exhibition is presented. 1959: The main plant changes its location and is now in Shinden-cho, Takamatsu City in Kagawa Prefecture. 1960: The beginning of the export of hydraulic lifting cranes to Indonesia. 1963: The construction of the main office in Shinden-cho, the city of Takamatsu in Kagawa Prefecture is completed. In production, a series of TM crane trucks is launched. 1970: Introduces the first hydraulic load-lifting crane of large load capacity - TADANO TR-150, with a lifting capacity of 15 tons. 1971: The company develops the first crane safety system - Automatic Moment Limiter, automatic overload safety device. 1973: Founding of TADANO International (Europe) in the Netherlands, is the first overseas branch. 1979: The company issues the first foreign convertible bonds in Switzerland. 1980: Construction ends and production begins at the Shido plant in Kagawa Prefecture. 1983: Begins to create aerial platforms with insulation for live lines. 1987: Construction of the TADANO Ryogoku building, sales department, Ryogoku, Sumida-ku, Tokyo ends. 1989: A new corporate identity and company logo is being created on the 40th anniversary of TADANO. 1990: Acquires the Lifting Equipment and Vehicles Division of FAUN AG, and creates FAUN GmbH. Represents lifting cranes of the TG-3600M series, with a maximum lifting capacity of 360 tons. 1991: Founded by TADANO FAUN GmbH, sales and trading company in Germany. 1992: Introduces the AR series of cranes. Founded FAUN TADANO Holland, in the Netherlands. 1993: Founding of TADANO America Corporation in the USA. 1994: Introduces a series of Super Deck aerial platforms. Begins the development of ecological products. 1995: Introduces a series of CREVO terrain cranes of high load capacity. 1996: Receives international quality certificate ICO 9001. The production of cranes has so far exceeded 300,000 units. 1998: The AR-5500M crane, the heaviest crane of all Japanese, enters production, the maximum load capacity is 550 tons. 1999: Introduces a series of crane plants ZR. 2003: Construction of BQ-TADANO (Beijing) Crane Co., Ltd., the first joint company of China for the manufacture of crane systems for trucks, wheel cranes and aerial platforms. Opens the Middle East TADANO Office in Dubai, United Arab Emirates for product and marketing support. 2007: Completed construction and began production at the Tadotsu Plant in Kagawa Prefecture. Built JC-TADANO (Beijing) Hydraulic Co., Ltd., a joint venture for the production and sales of hydraulic components in China. 2008: Certified by the International Organization for Standardization. 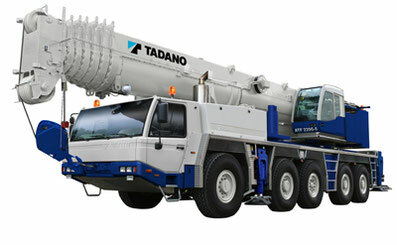 Founded by TADANO FAUN Stahlbau GmbH in Germany for the manufacture of components for construction cranes. Finished construction and started production at the Chiba Plant in Chiba Prefecture. One of the mobile crane is a SAMSUNG TADANO SC50H.